Para colaboraciones individuales del grupo, por favor, consulte las páginas de los grupos. The model implemented in the creation of IBEC as result of research groups of the University of Barcelona and the Polytechnic University of Catalonia collaborating together and being affiliated to IBEC to conduct their research through our institute has been reinforced over the years with our policy on core partnerships, in which collaborative research is the main aim. The Catalan Institution for Research and Advanced Studies (ICREA) is supported by the Catalan Government to recruit top scientists for the Catalan R&D system to lead new research groups, strengthen existing ones and set up new lines of research. The foundation works closely with Catalan universities and research centres through long-term agreements that allow ICREA researchers to participate in research groups in these centres. Five of IBEC’s group leaders are ICREA research professors: Pau Gorostiza, Silvia Muro, Sámuel Sánchez, Xavier Trepat and Paul Verschure. IBEC and the Barcelona Global Health Institute (ISGLOBAL) signed an official agreement in 2010 to facilitate collaboration in certain areas of common interest. This led to the establishment of a joint unit where both institutions contribute with resources (researchers, spaces, etc) to develop diagnostic and therapeutic nanomedicine-based systems to be applied to malaria (Nanomalaria group). Spain’s Centro de Investigación Biomédica en Red (CIBER), a legal entity financed by the Instituto de Salud Carlos III, creates large multidisciplinary and multi-institutional networks of research centres that will integrate basic and clinical research. Several IBEC group leaders work in programmes within CIBER, such as CIBER-BBN, which covers bioengineering, biomaterials and nanomedicine. Research is focused on disease prevention, diagnostics systems and technologies for specific therapies, such as regenerative medicine and nanotherapies. Another programme within CIBER, CIBERES – Centro de investigación en red de enfermedades respiratorias – involves Cellular and Respiratory Biomechanics group leader Daniel Navajas and addresses respiratory illnesses. Centro de Investigación Biomédica en Red Enfermedades Neurodegenerativas (CIBERNED), which covers neurodegenerative diseases, maintains its own legal personality as it is managed by Fundación CIEN. 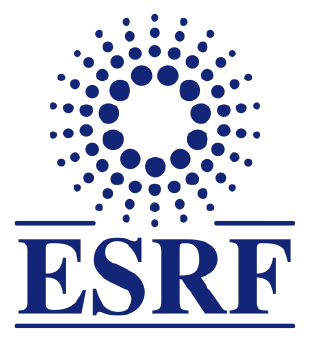 It is composed of 63 research groups working on basic and clinical research. José Antonio del Río, who works on projects within CIBERNED, puts IBEC’s number of group leaders working within CIBER programmes at 12. The Cellex Foundation and the ”la Caixa” Banking Foundation are funding two major projects coordinated by the Fetal Medicine Research Centre, Fetal i+D (Hospital Clínic and Hospital Sant Joan de Déu). The projects comprise four sub-projects, one of which, Robotics and Electronic Biosensors, is coordinated at IBEC. A joint research Unit between IBEC and the Hospital Universitari Germans Trias i Pujol (IGTP) is coordinated by Raimon Jané, head of IBEC’s Biomedical Signal Processing and Interpretation group, and the hospital’s Miquel Àngel Gasull. Under a collaboration agreement that directly impacts on clinical translation activities, the SPECs group of Prof. Paul Verschure at IBEC works with the Neurovascular Group led by Dr. Ana Rodriguez-Campello at IMIM. Managed by IBEC, the Spanish Nanomedicine Platform (NanoMed Spain) is a forum that brings together public research centres, hospitals, companies and government representatives to unite public and private interests in the development of common strategies. NanoMed Spain represents the interests of its stakeholders in the burgeoning and multidisciplinary area of nanomedicine, and is supported by the Spanish Ministry of Economy and Competitiveness (MINECO), through the Spanish Programme for R+D+I oriented to Societal Challenges. EBICS’ mission is to create a new scientific discipline for building living, multi-cellular machines that solve real world problems in health, security, and the environment. Participating Institutions are Massachusetts Institute of Technology, Georgia Institute of Technology, University of Illinois at Urbana-Champaign, City College of New York, Morehouse College, University of California-Merced, Boston University, Gladstone Institutes, Princeton University, Tufts University and the University of Georgia. The EBICS International exchange program allows US students to spend time at IBEC while provide exceptional training and the opportunity to network with students and faculty from diverse scientific and engineering backgrounds. A consortium of more than 50 core partners and 90 associate partners from leading businesses, research centres and universities from across 14 EU countries. EIT Health was designated as an EIT Knowledge and Innovation Community (KIC) by the EIT Governing Board on 9th December 2014. IBEC is a member of the EIT Health e.V. and its Supervisory Board, represented by IBEC’s Director Josep Samitier. EIT Health Spain is an Association that has partners from three regions (Catalonia, Madrid and Valencia) involving universities, research institutes and companies in the three areas of the innovation triangle: research, education and business creation. IBEC is a member of the Association and its Governing Board, represented by IBEC’s Director Josep Samitier. IBEC is a member of CERCA, the Government of Catalonia’s means of supervising, supporting and facilitating the activities of Catalan research centres. Fostered by IBEC and under BIOCAT’s leadership, BioNanoMed Catalunya is an alliance of research centres, hospitals and companies to share know-how and resources and facilitate new developments in nanomedicine. Bioinformatics Barcelona (BIB), a network of 25 members including universities, research centres, hospitals, major scientific facilities, and pharmaceutical, technology and bioinformatics companies, aims to respond to the challenges posed by the growth of big data and position Barcelona as a world leader in bioinformatics. IBEC participated in the development of the platform, which is supported by the Government of Catalonia and the Obra Social “la Caixa”, and which aims to involve all Barcelona organizations working in the field of health and food. Since 2014, IBEC has been a member of the HealthTech Cluster, an alliance aimed at promoting and contributing to the competitiveness of the health technology sector in Catalonia. This merged with CataloniaBio to become CataloniaBio & HealthTech, which brings together research organizations, companies, hospitals and other bodies to compete globally by promoting innovation and internationalization of partners and improving conditions within the sector. Pau Gorostiza participates in the Systems and Cognitive Neuroscience of the Human Brain Project (HBP), one of two Future and Emerging Technology (FET) Flagships funded by the European Commission to address the big scientific and technological challenges of the age through long-term, multidisciplinary efforts. The HBP project involving Pau, Wave Scaling Experiments and Simulations (WaveScalES), is coordinated by Pier Stanislao Paolucci at the Instituto Nazionale di Fisica in Rome and will study the neuronal networks underling sleep and wakefulness under normal conditions and in disease. The HBP aims to put in place a cutting-edge, ICT-based scientific Research Infrastructure for brain research, cognitive neuroscience and brain-inspired computing. The project, which started a promotes collaboration across the globe, and is committed to driving forward European industry. IBEC has been a voting member of the European Technological Platform on Nanomedicine (ETPN) since 2008. IBEC Director Josep Samitier is the president. Established in 2003 by the Catalan government’s department of Universities, Investigation and Information Society, ACER is an independent association of more than 40 institutions in Catalonia which conduct research as their principal mission. 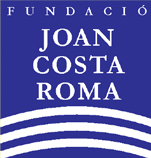 The association’s goal is to help establish the region as an international benchmark in scientific and technological research by representing its associated centres, encouraging collaboration and the coordinated exchange of information, promoting synergies with similar agencies related to local, national or international research, and contributing to the improvement of scientific understanding in society. In 2016 IBEC became a partner in the Red de Innovación en Tecnologías Médicas y Sanitarias (ITEMAS), an innovation network for medical and health technologies. ITEMAS, promoted by the Instituto de Salud Carlos III (ISCIII), brings 95 companies and organizations together with 66 medical centres in Spain to collaborate on R+D projects. The partners will also work together on outreach initiatives. Part of the RIS3CAT community, the ADVANCECAT project, led by the University of Barcelona, aims to accelerate the development of advanced therapies – medicines based on cell therapy, gene therapy and tissue engineering – in Catalonia from basic research to clinical or industrial transfer. 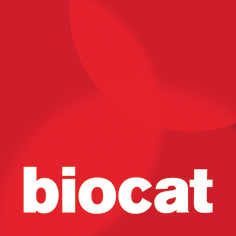 Formed by 18 organizations in the field of health including two universities, twelve biomedical research institutes – including IBEC – and four companies and private foundations, ADVANCECAT, which is integrated in the NextHealth community and coordinated by Biocat, will bring together public and private sectors for better management of resources in order to get the most out of the Catalan health system. The ADVANCECAT consortium has an initial budget of more than 2.8 million euros, of which €969,352.28 is financed by ACCIÓ, the initiative of the Generalitat of Catalonia, through FEDER. IBEC pursues opportunities to collaborate on a long-term basis with other world-class national or international research institutes, organisation or other bodies with a collaborative agreement or Memorandum of Understanding (MoU). These formalise the participation of IBEC and the partner institute in cooperative scientific projects, promote the exchange of researchers, aid dissemination of information, the sharing of resources and the organization of joint events and activities.